Red Dead Redemption 2’s new gameplay trailer looks absolutely wild, and it’s been captured entirely from in-game footage on the PlayStation 4 Pro. Many of you may have assumed as much by looking at the button prompts in the video, but Rockstar Games has now confirmed that it used Sony’s supercharged system to create the clip. We’re yet to see exactly how the title will perform on standard PS4 hardware, but hopefully it will hold up. In the meantime, there’s never been a better time to upgrade to Sony’s mid-gen refresh: limited edition Spider-Man and translucent consoles are on the way. I need to clean my ps4 pro fan for this game, my pro already sound loud when I play gow lol. @wiiware I had to do the same with mine and GOW was when it started sounding like a jet. I dismantled the console and cleaned every inch of dust in it. Put it back together and it’s as quiet as a mouse. But not Jerry Mouse though. That little $&@er is a troublemaker! Game should look great in native 4k on PS5 in 2 years. I can't imagine a scenario in the universe where this doesn't get ported to next gen. Even the 1 out of 14m where the Avengers win. @NintendoFan4Lyf i didn't know Sony had a deal on this game, what exclusive stuff is the PS4 getting? @FullbringIchigo I believe some of the online content will be timed exclusive to Playstation. That is all I know that is definitive. I bet marketing will be more Playstation-focused, though (hence the use of PS4 Pro for this trailer). @FullbringIchigo I highly recommend Ori and the Blind Forest! Quantum Break was pretty fun too! On topic: I am sure base PS4 hardware will run just fine. I would think if any Sony QA happens for such a high-profile game, they won’t allow the base experience to run poorly. @Cutmastavictory Different times. Nintnedo rarely ported games on new consoles - NES, SNES, N64, Gamecube, Wii, Wii U. Lots of new games, maybe too similar for some people like MK or SSB, but all new games. (A few "New Control" Gamecube games on Wii.) Switch comes along and it's every game ever on Wii U. Plenty of PS2 games on PS3 and PS3 games on PS4. Just can't imagine this not getting ported if PS5 launches in '19 or '20. 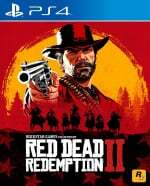 If no PS5 until 2022 well RDR3 could be ready by then. It looks really awesome, can’t complain about it.